Bianca's class at school is having a talent show, and Bianca is excited to take the stage. 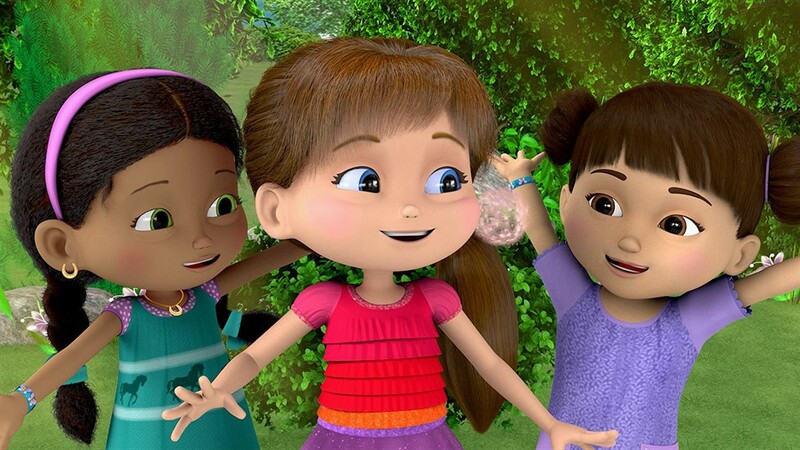 But when Bianca finds out that her best friends Penelope and Charlie are struggling with their talents, she tries to help them out with her Wish Magic. But when Wish Magic backfires in a major way, Bianca needs to stand by her friends and help them believe in themselves...without Wish Magic. While playing at home, Bianca Wishenpoofs up a jungle so she and Ben can pretend to be a monkey, but Ben is acting...strange! Soon, Bianca realizes, that if he looks like a duck, and quacks like a duck...it must mean Ben wants to pretend to be a duck! Oops. She wasn't listening. Sorry Ben! When Bianca runs into a similar conflict with her friends Laurel and Frank, she realizes that things will go a lot more smoothly if she would just listen. 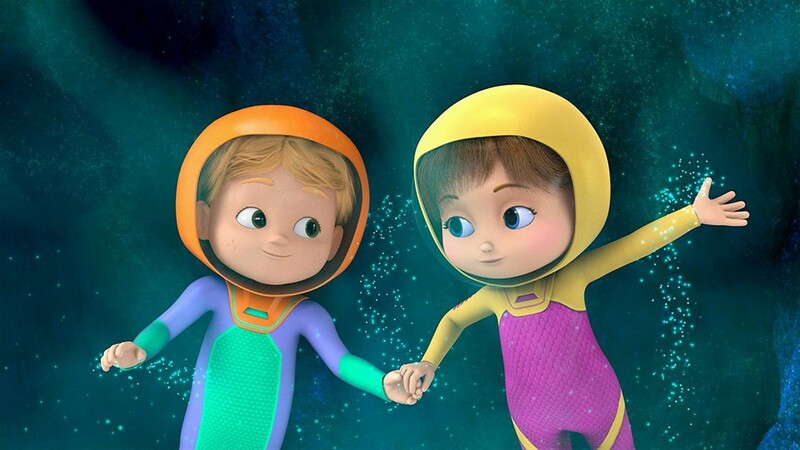 When Bianca's teacher challenges the students to explore their passion, Bianca is eager to learn more about outer space and has big ideas on how to explore it! 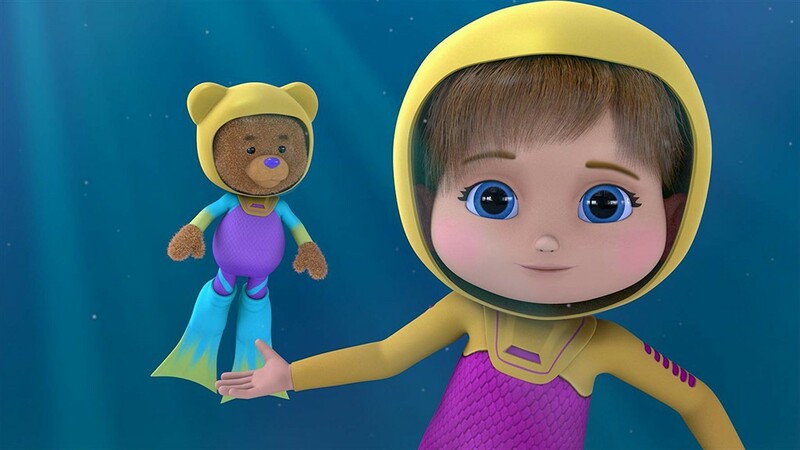 She Wishenpoofs herself a rocket, blasting off to the Milky Way with Bob the Bear. 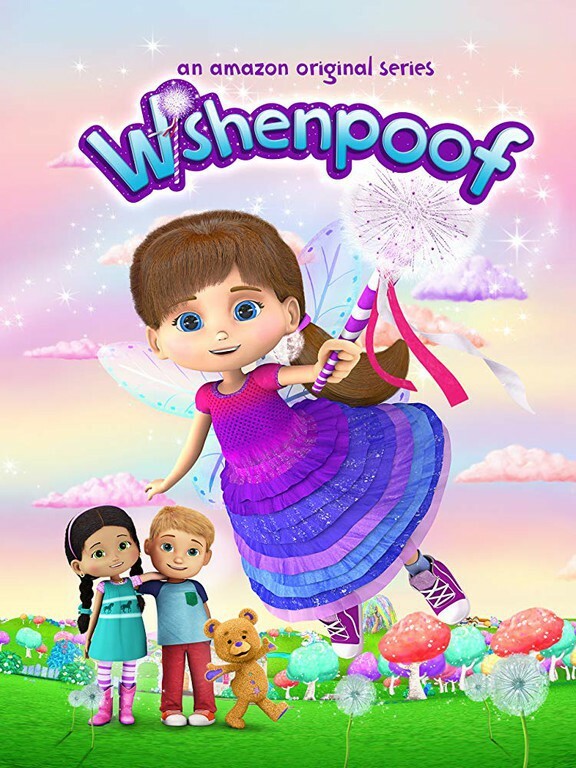 As they zoom from planet to planet, Bianca becomes even more inspired, and decides to build her very own rocket...this time, without Wish Magic. With support from her Dad, and a whole lot of work, Bianca turns her passion for outer space into a fantastic project. Charlie and Oliver have built their very own clubhouse in the park...but they won't let Bianca and Penelope play in it! Bianca and Penelope decide to make their OWN clubhouse. But can they build one? When the challenge seems too big, Bianca tries to use her Wish Magic, but accidentally turns herself tiny! 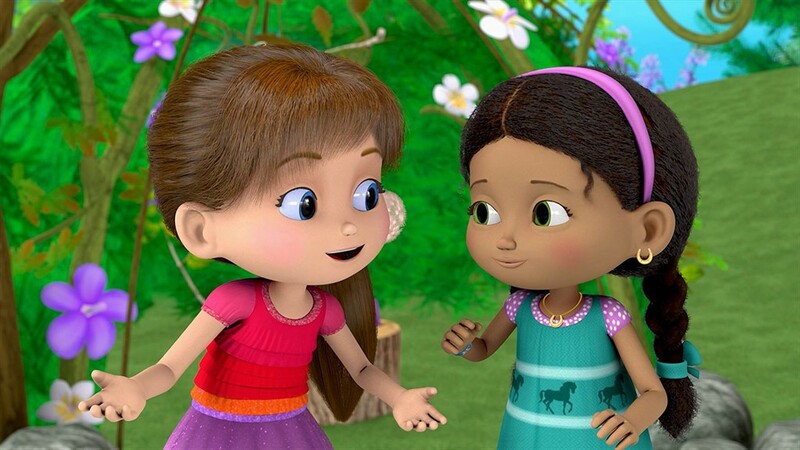 Penelope and Bianca will have to dig in their heels, and work together to create the clubhouse of their dreams! Introducing...Froovle! 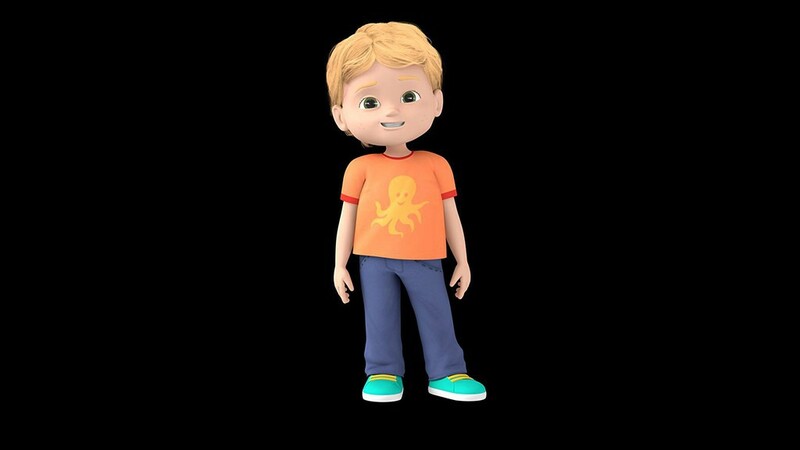 Frank has an adorable, bouncy, fun-loving new pet called Froovle! He can do all kinds of magical tricks, like puffing up bigger, leaving a trail of polka dots and of course...dancing! 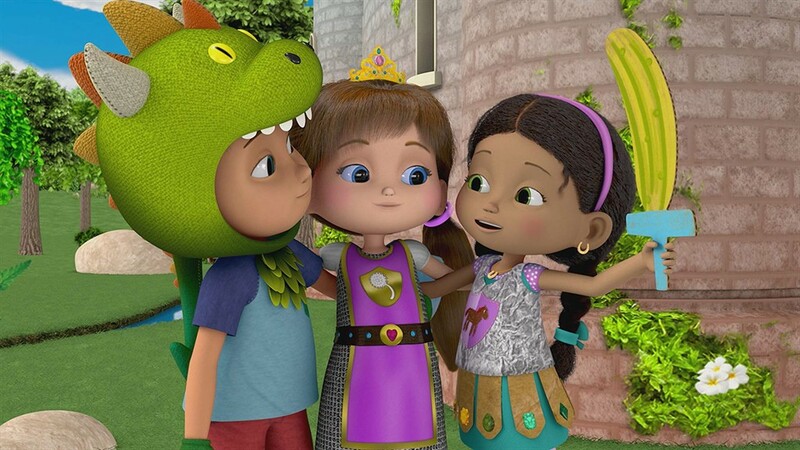 As Bianca, Frank and Laurel take a break from playing with Froovle to eat their lunches, they accidentally say Froovle's "magic words" which creates a BIG problem...literally. Froovle is HUGE and on the loose in Wish World! 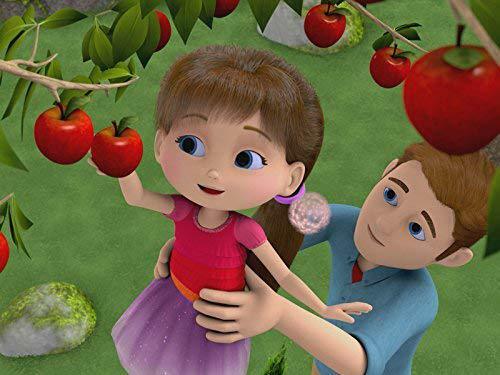 When their Wish Magic proves useless, Bianca, Frank and Laurel will have to pay close attention to figure out the secret of shrinking Froovle back down to size. 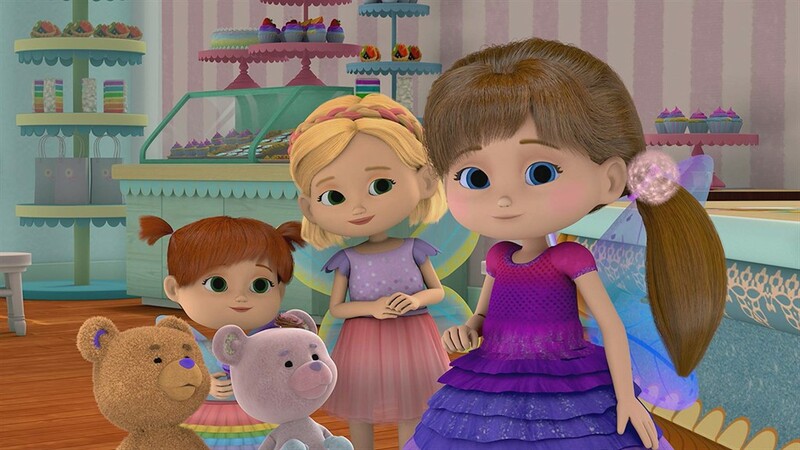 Bianca is playing with Violet and Penelope at school, when Violet starts being mean to Penelope because of her outlandish ideas. 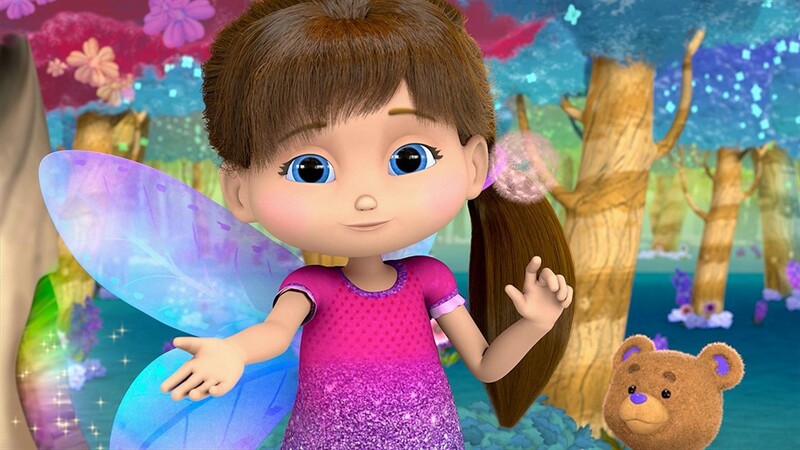 Bianca does her best to stop Violet, but in the heat of the moment, she uses her Wish Magic...instead of her words. 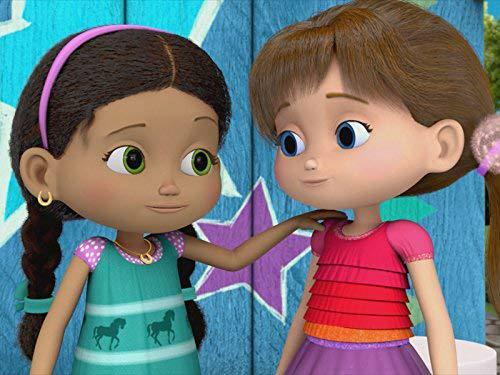 Bianca learns that if she wants to stop Violet's behavior, she needs to say something, and Violet learns that being creative...is a good thing! It's the "Tough Kid Challenge" at Bianca's school today, and a variety of obstacles have been set up on the playground for the kids to complete. Bianca's initial attempts to complete the course fall flat (literally) and she struggles with frustration. 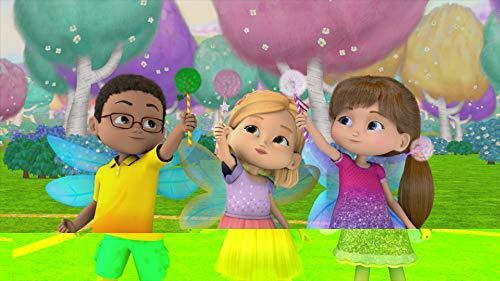 When Wish Magic won't get her past the obstacles, Bianca turns to her friends for help and encouragement. As Bianca continues to practice, she realizes how important it is to get back up and try again. Ultimately, Bianca discovers that a little determination can go a long way to help you reach your goal. 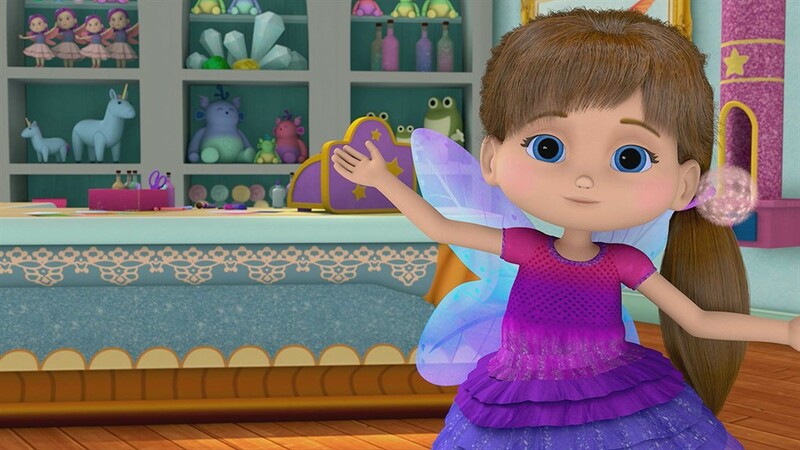 Fairy Grandma is coming to visit, and Bianca couldn't be more excited. 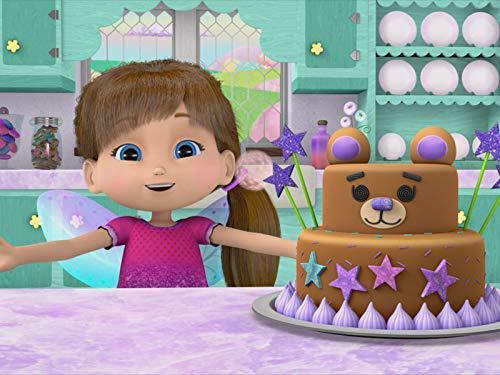 She decides to welcome her by making a special treat: rainbow cake with puffy cloud frosting. Bianca is anxious to get started, and in her haste, accidentally turns herself into a frog! She regroups, and continues to bake, but can't seem to stay out of trouble, knocking over ingredients, and creating general chaos. When Bianca inadvertently adds the extra ingredient of twinkly stars into the batter, she almost gives up. Not even Wish Magic can get her out of this jam...and flour...and butter. Bianca feels defeated, but Mom steps in and reminds her that she can learn from her mistakes, and move forward. 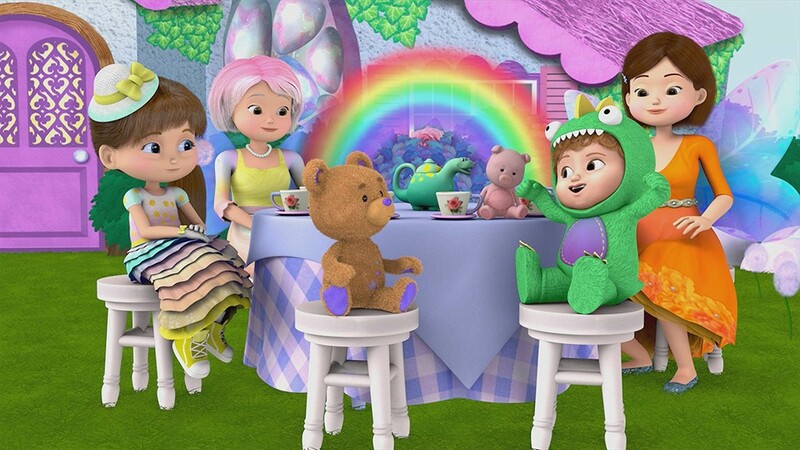 Bianca tries again, and creates a magical rainbow cake that really SHINES, just in time for Fairy Grandma's arrival. 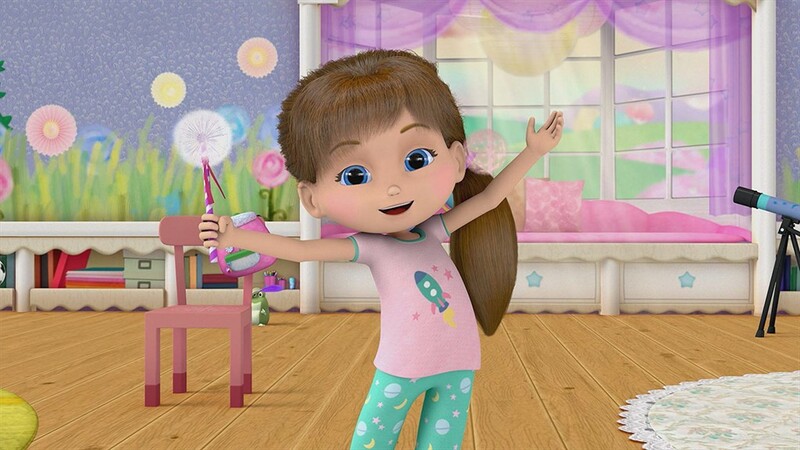 Biana is excited for Miss Bridget's "Big Ideas Day" at school; a day for students to bring their big ideas to class...and trade them with their friends! 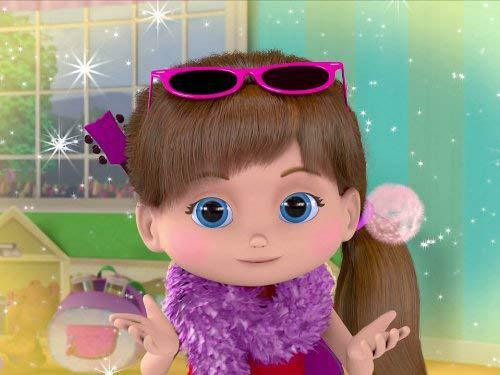 Bianca has created homemade yarn bracelets, but when she tries to trade them with her friends, nobody wants to swap! Why don't they want her bracelets? Bianca finds a kindred spirit in Penelope, whose doodads have been similarly rejected. The two put their heads and their big ideas together to come up with something completely original: musical charm bracelets! Soon, Bianca and Penelope's creations are in high demand. 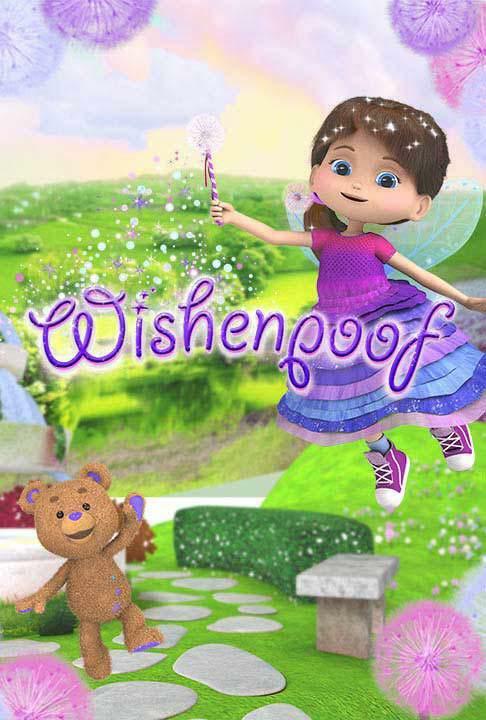 Fairy Grandma has invited Bianca and her family to come for a visit, and Dad is determined to get there the 'old fashioned way' - without Wish Magic. 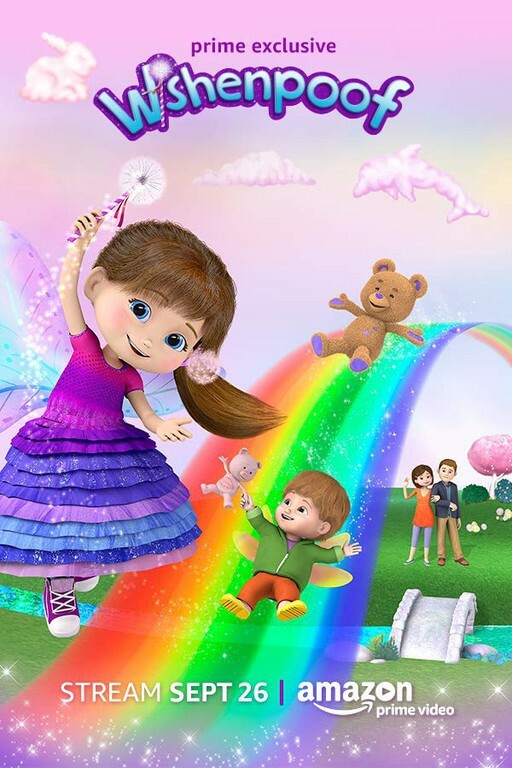 The way to Fairy Grandma's house is filled with wonderful Wish World surprises...but also proves challenging, and Bianca will have to summon her courage to make it across the bouncy bridge, up the jagged gemstone mountain and through the secret passage in the back of a darkened cave. 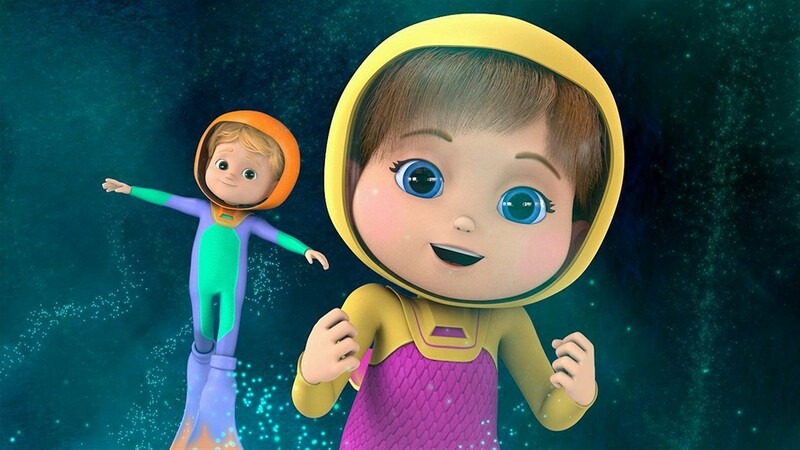 As she learns more about her environment, Bianca gains confidence, and becomes more and more adventurous. Even a run in with an ogre can't stop Bianca, and she soon finds herself (along with her family) nestled in Fairy Grandma's welcoming embrace. It's time for the annual Scooter Parade at school, and Bianca has worked hard to decorate her musical scooter. When she arrives at school, all of the kids are showing off their scooters to one another. All of the kids...except Charlie. 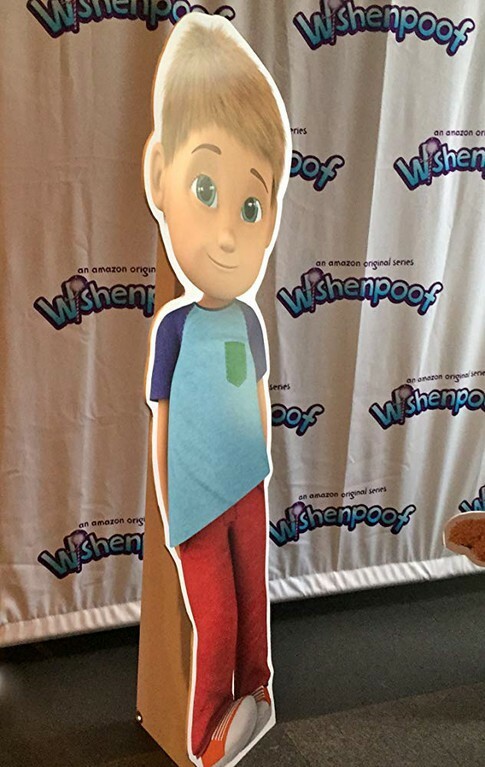 Charlie forgot it was the scooter parade, and doesn't have a scooter. Bianca and her friends cook up an idea to so that Charlie can participate in the parade, but just as they head outside...BOOM! CRASH! The skies open up, and it begins to rain. Bianca and her friends will need to brainstorm to figure out a way they can keep their scooter parade from getting soggy! One thing is for certain, these kids won't let a little bad weather rain on their parade! 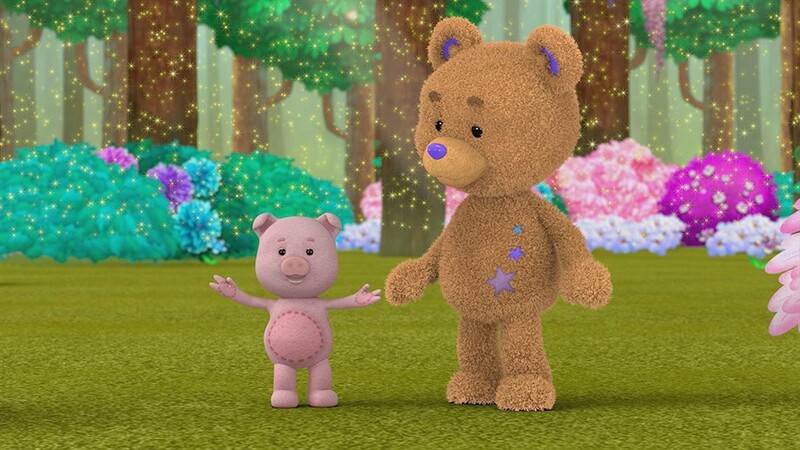 It's...the Bianca and Bob the Bear Show! 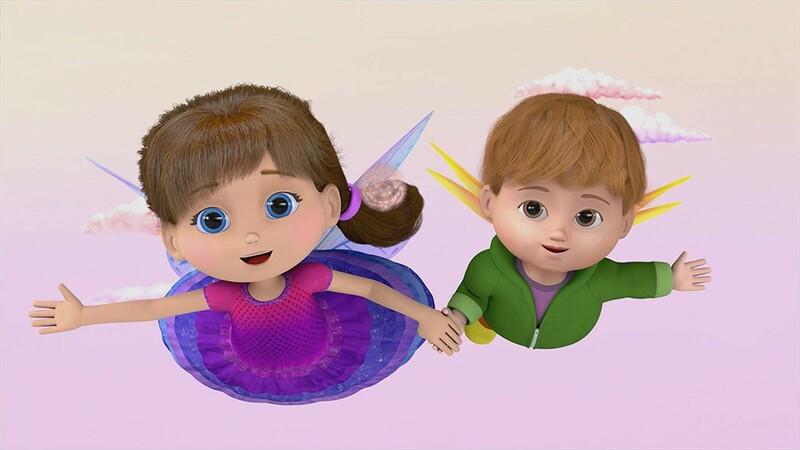 Bianca and Bob are happily playing side by side, choreographing and performing their very own magical musical revue, when Laurel arrives. 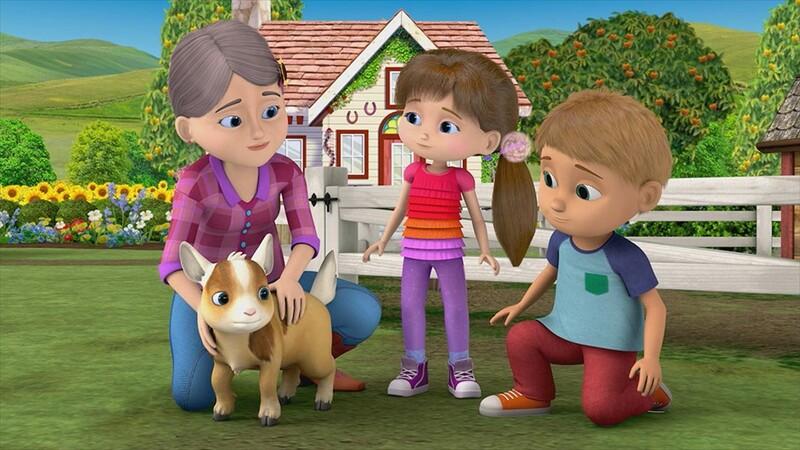 Bianca and Bob invite her to join, but can't seem to figure out why she's acting so sad. At Mom's urging, Bianca asks Laurel, and learns that Laurel wishes she had a cuddly best friend like Bob. 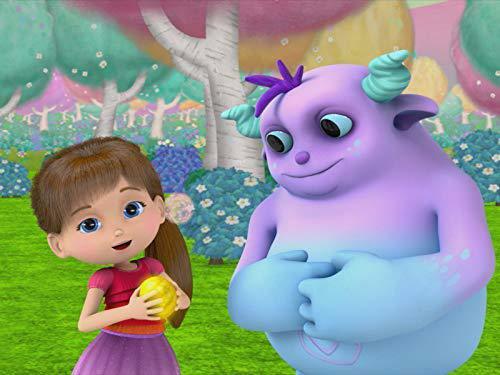 Bianca is heartbroken for her friend, until she learns that there's an area of Wish World that could hold the key to Laurel's happiness: The Enchanted Forest! This is the place where all the stuffies like Bob are born. Bianca and Bob set off for The Enchanted Forest, and soon meet a lonely little bear named Lola, longing for a little girl of her very own. Will Bianca be able to make both of their wishes come true? 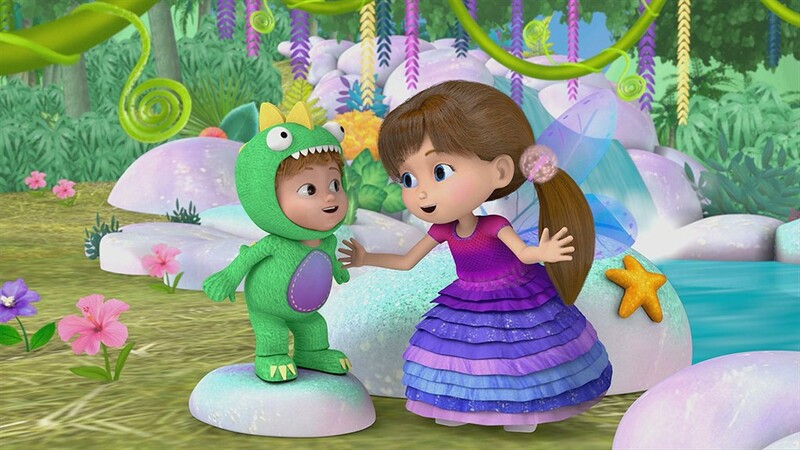 Bianca and Ben are playing at home, when Bianca tries to Wishenpoof Ben into a dinosaur so they can play. 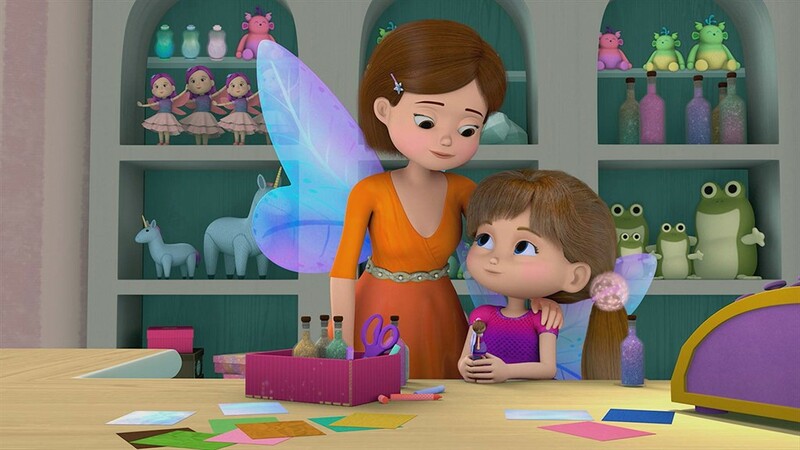 When her Wish Magic fails her, Bianca starts to feel worthless, and Mom has to step in to remind her how wonderful she truly is. As they continue to play, Bianca starts to notice some unexpected things happening...could her Wish Magic be going awry again? Or...does BEN have Wish Magic? 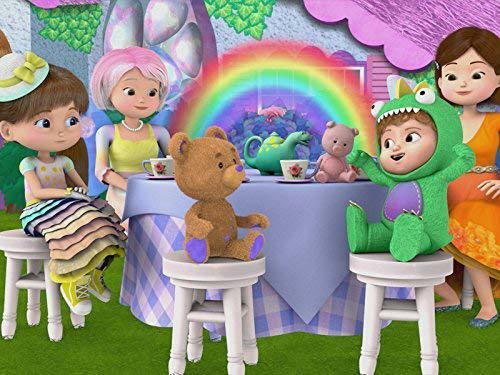 Bianca and her family set off on a madcap adventure as they discover (along with Ben) that baby magic can be even more unpredictable than Bianca's magic! 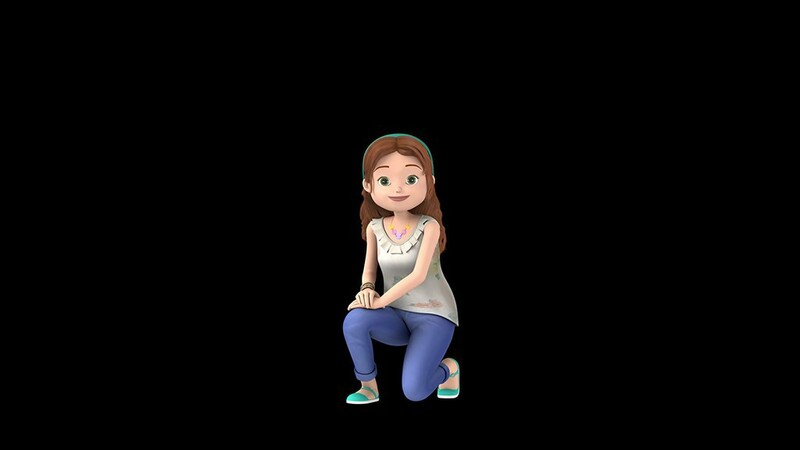 When it becomes clear that Ben's Wish Magic may not be here to stay, Bianca and Ben both need to learn that with magic or without they are wonderful. 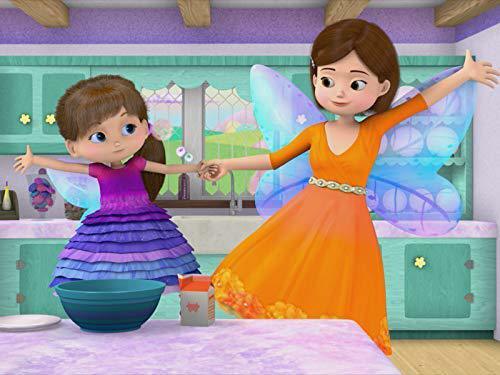 When Ben's wish magic keeps coming and going unexpectedly, Bianca seeks out Fairy Grandma to help get some useful information on why. 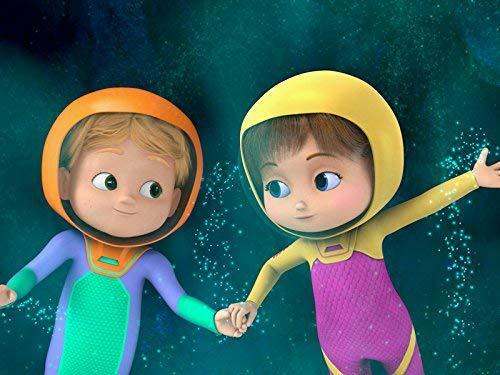 On a field trip to the Museum of Natural History, Bianca gets paired up with Oliver for a project, where they end up learning as much about each other, as they do about the project itself. Bianca gets upset when a day at the park doesn't go exactly as she planned. Throughout the day, however, she learns that sometimes a change in plans can lead to some fun surprises. 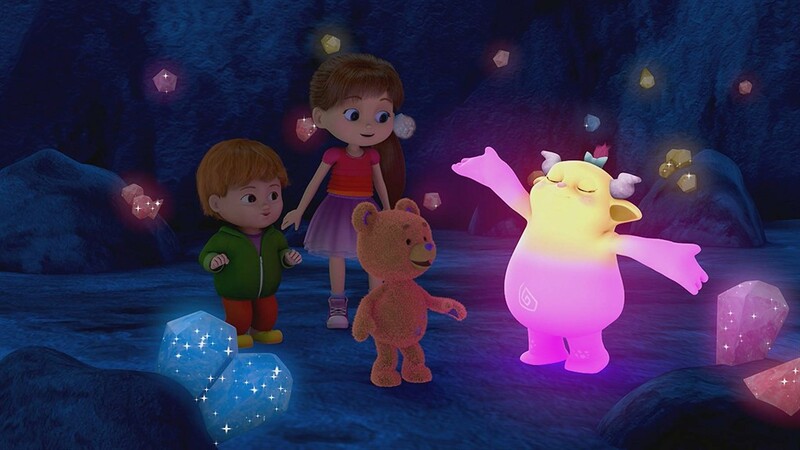 When Bianca's Wish Magic causes Ben's beloved stuffie to go missing, Bianca, Bob, and Ben go on a quest to find her. It's Daddy Daughter Day. 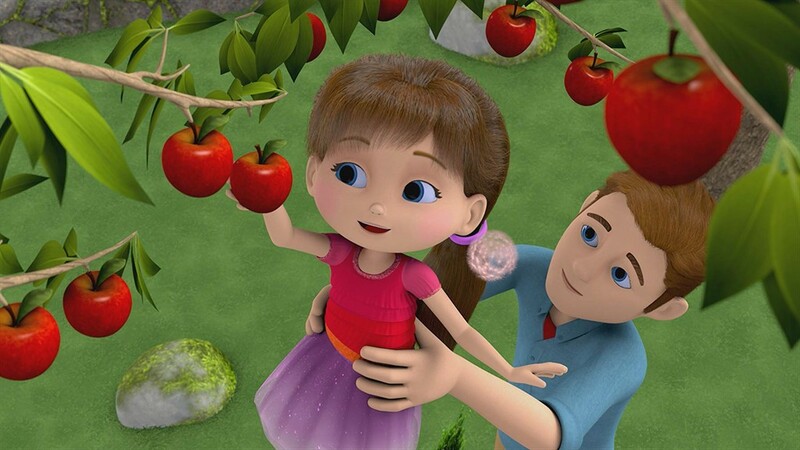 Bianca and Dad have big plans for their special day but things don't quite go as planned. 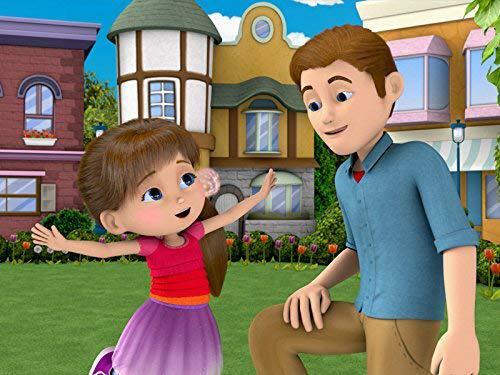 Bianca learns that even without Wish Magic, any time spent with her Dad can be magical. 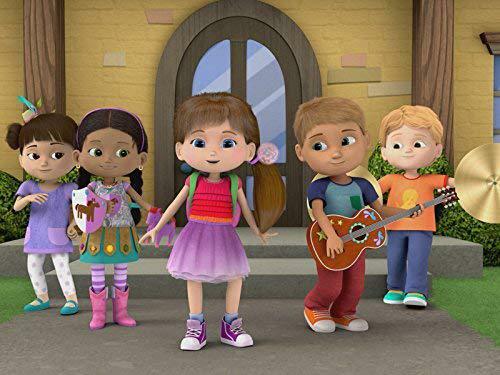 Bianca learns that she can use her greatest passion, singing, to help inspire her friends and loved ones to overcome their problems. 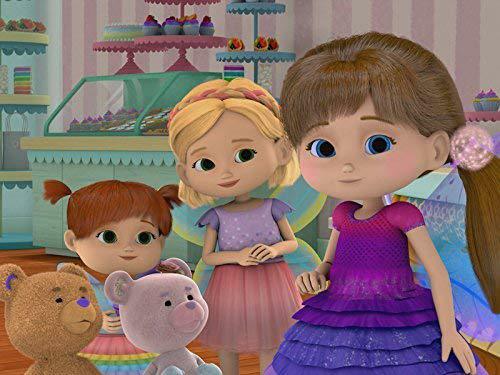 Bianca's homemade dolls become a popular item at Mom's Magical Wish Store, and things get a little out of hand when she rushes to meet the demand. 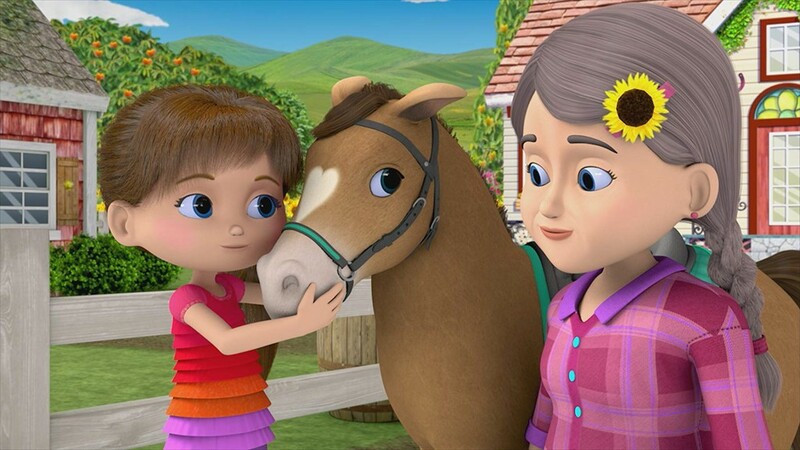 Grammie has a surprise for Bianca on her farm- a new pony. 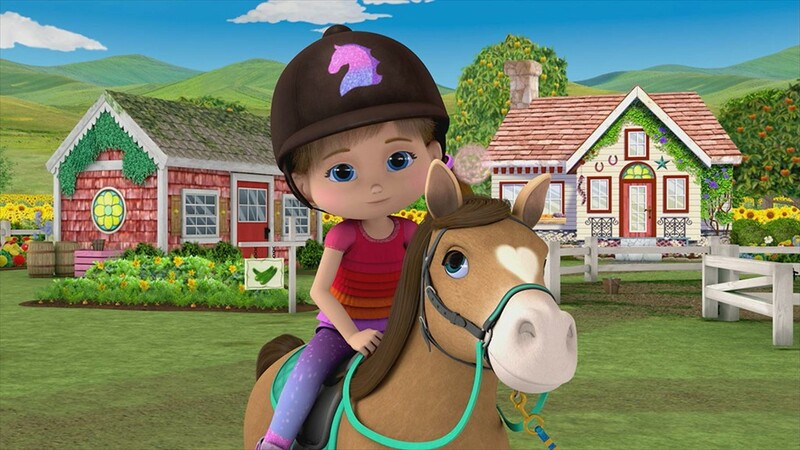 But before Bianca can ride it, she'll need to make sure the pony is happy and comfortable in her new home. 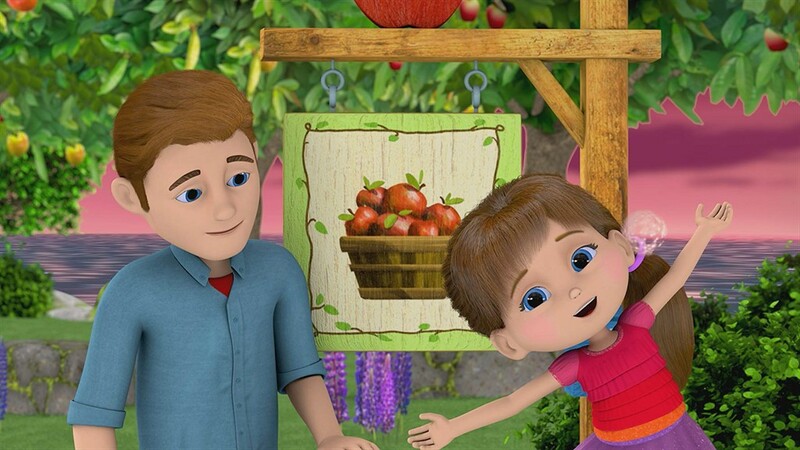 By listening and watching, Bianca learns important lessons on how to communicate without words. 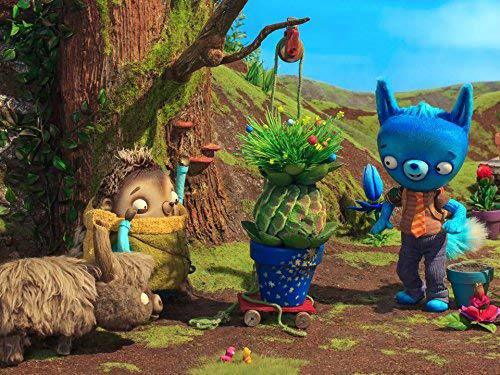 Bianca, Ben, Frank and Laurel go on an imaginative adventure and learn to listen to all ideas, even the unusual ones, to solve problems along the way. 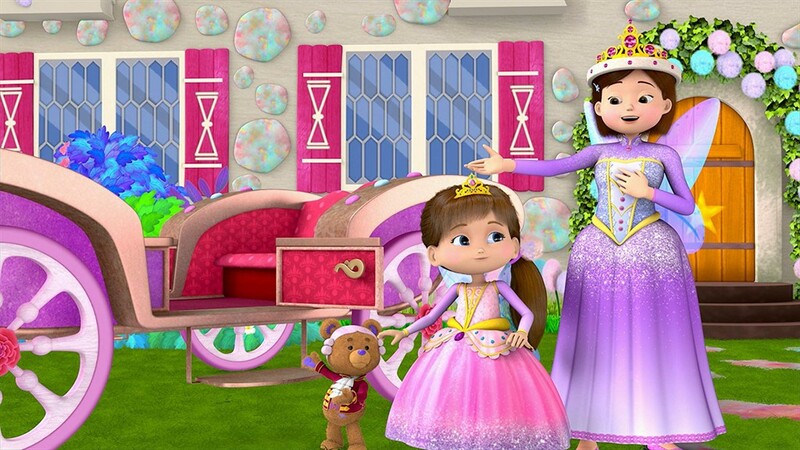 Bianca and her family head to the Main Street Carnival, where Bianca will be performing. But when she gets there, she keeps getting distracted by the fun and forgets to practice her routine. It's snowing in Wish World. After making a very unique snowbear fairy, Bianca goes ice skating with her Dad. She can't quite get the hang of some tricks she's trying to learn, until she figures out that she can put her own spin on things by doing it her own way. 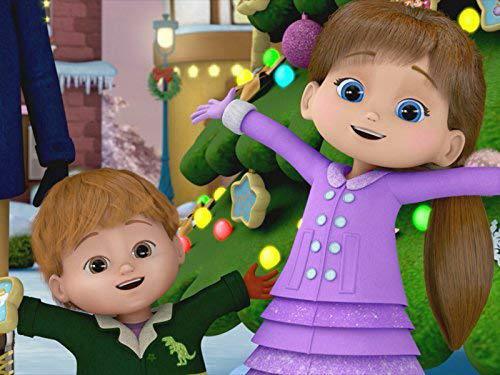 It's Christmas time and Bianca, her family and friends are gathered around the town's Christmas tree to make their wishes. 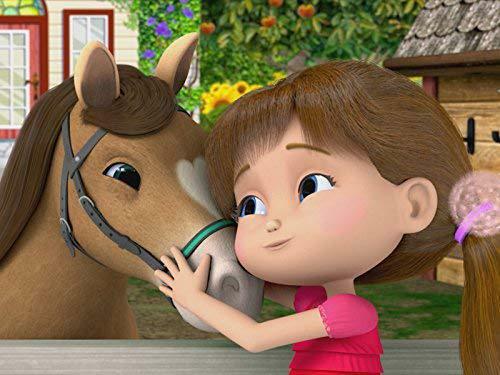 When Bob's wish breaks and Penelope's wish gets thrown off course, Bianca becomes determined to do whatever it takes to make their wishes come true. Bianca is excited to spend the day at the playground with Dad and Ben! Bianca loves the playground- especially the huge twisty slide. But, as they approach the playground, they see that a tree fell on the slide and it's closed until the town can get enough money for a new one. Oh no! At home, a discouraged Bianca makes some lemonade while she thinks about what she can do to help. 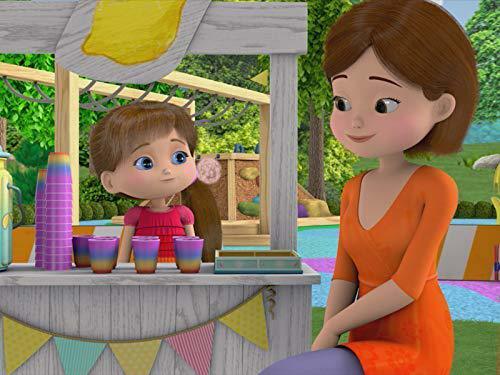 The delicious lemonade gives Bianca an idea: she can make a lemonade stand, and use the money towards the new slide! Bianca heads back to the playground where she sets up her business. As her friends make their way to the playground as well, they each find a way to contribute to the cause in their own way. The kids eventually make enough money and celebrate their effort with their brand new slide! Bianca and her family are going camping! Bianca is very excited, as she's never been camping before. She's especially excited to see the Wish Stars from the top of Mount Wishmore! 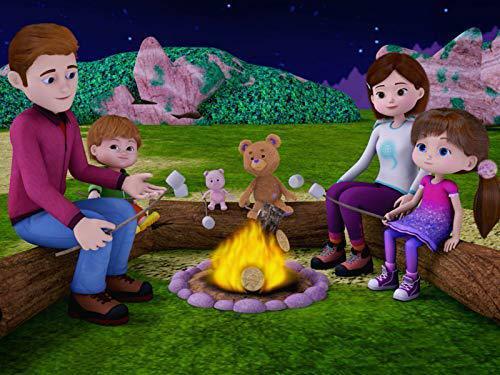 The Wish Stars can only be seen from the top of the mountain, and Bianca and her family really don't want to miss them. The hike to the top is filled with songs, love, and the appreciation of nature. But the hike proves challenging; with roadblocks, windy conditions, and tired hikers all providing obstacles for Bianca and her family to overcome. But by working together, Bianca and her family are able to keep hiking and reach the summit. 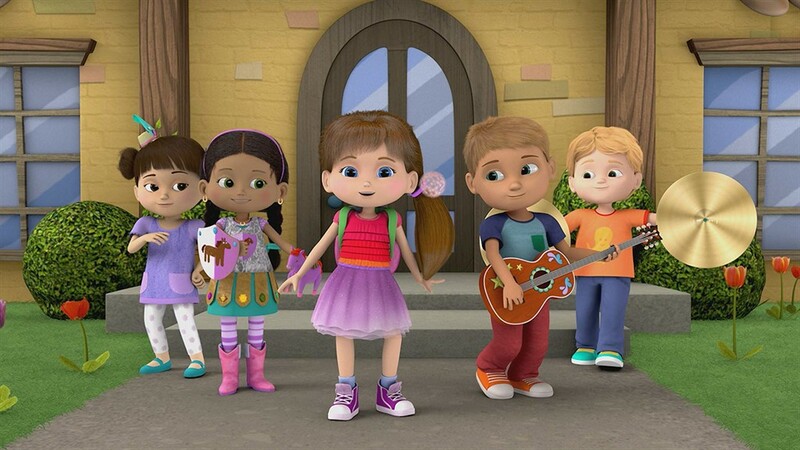 Bianca learns the important lesson of the power of working as a team in order to succeed. The reward is a night under the Wish Stars atop Mount Wishmore, a magical end to a day of teamwork. 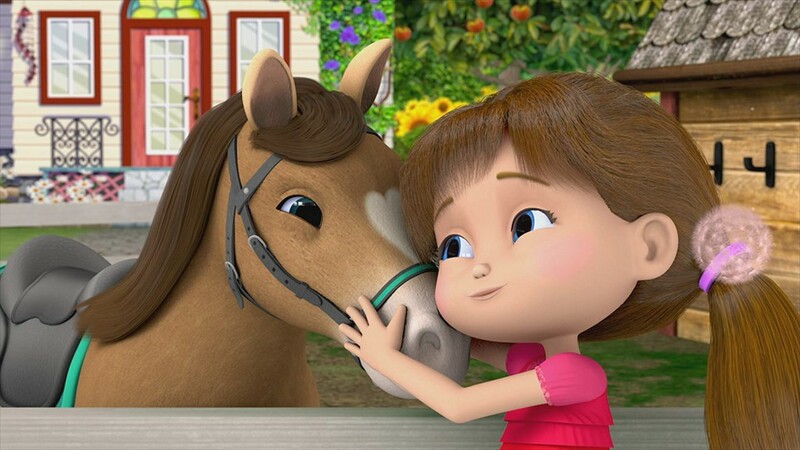 When Bob isn't feeling well, Bianca knows exactly what will make her best friend feel better! 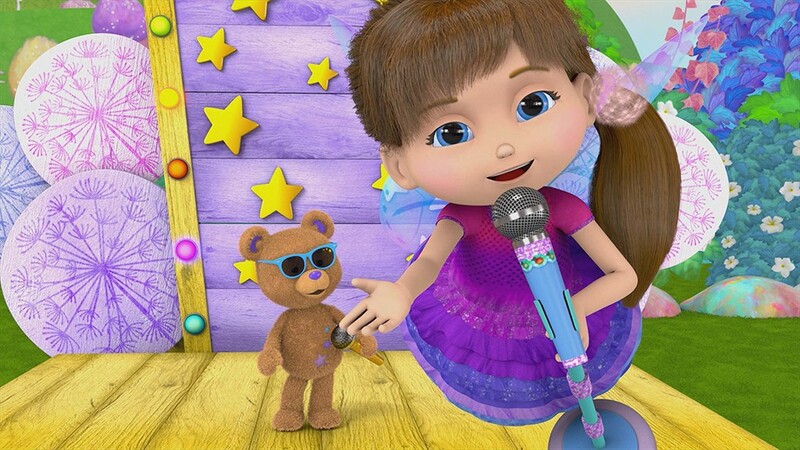 She offers to sing a song with Bob, but even though Bob loves singing with Bianca, it's a little too loud and making his head hurt. Bianca then makes Bob a cake. Bob loves cake! Cake will definitely make Bob, feel better, right? While Bob does really love cake, his tummy hurts today, so he's not really in the mood. Bianca eventually comes up with the perfect idea. A feel-better party for Bob! 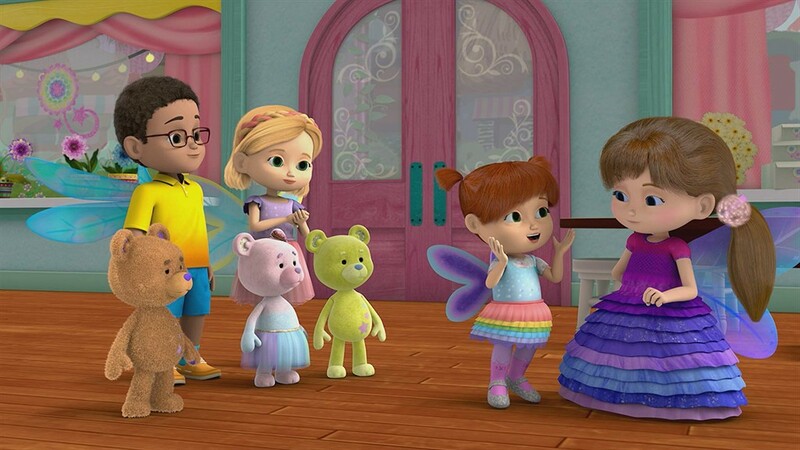 With help from some friends, Bianca throws a big party with dancing, music, and a special Bob-cake! But Bob really doesn't want a party- he's too sick to enjoy it! Bianca is confused and upset that she can't help Bob feel better. 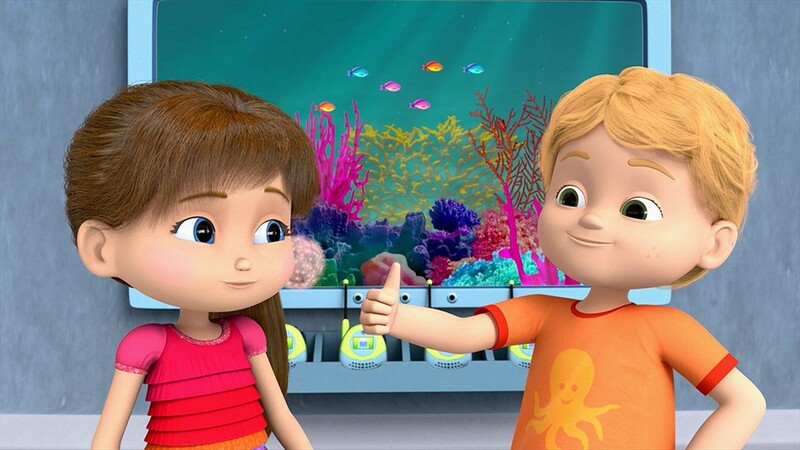 Dad then helps Bianca understand that if she wants to help Bob feel better, she needs to ask him what he needs! Bianca does just that, and helps Bob feel better by giving him exactly what he says he needs. 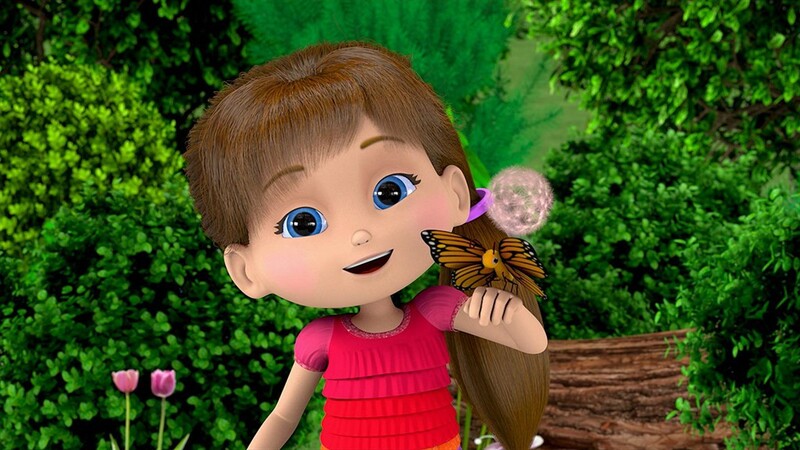 Bianca and Penelope are playing outside at school when Bianca conjures up a jungle for them to have an adventure in. 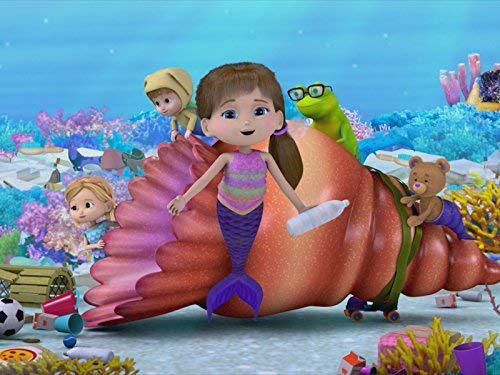 But when Miss Bridget calls the class back inside, Bianca get distracted and forgets to clean up her Wish Magic jungle. Inside the classroom, Bianca is really excited to make her monkey costume but forgets to close the caps open on the glitter and paint she was using. She quickly goes to see what Penelope and Charlie are making when... crash! Bianca spills glitter and paint all over everyone's projects. Bianca feels really bad. Miss Bridget consoles her and reminds her of the importance of cleaning up, so nothing gets messed up. Bianca, goes outside to put her costume down to dry, when she realizes that she forgot to clean up her jungle Wish Magic from earlier. The playground is all messed up! Working with Bob, Bianca cleans up the big mess piece by piece, eventually turning the playground back into to its normal self. Phew! Time for the costume party! Bianca has certainly learned her lesson, and will definitely remember to clean up next time. Bianca is playing Wishball with her friends and Bruno the Ogre is playing too! Bruno has a hard time playing though because he doesn't have a wand or wings. He's also much stronger than the other players and keeps throwing the ball too hard and bumping into everyone. The kids get frustrated with Bruno for ruining the game, making Bruno so sad that he goes home. Bob helps Bianca understand how hard it must be for Bruno to play Wishball. Bianca decides to really see how hard it is, so she uses some Wish Magic to transform herself into an Ogre. Bianca learns that it is indeed very hard to play Wishball as an Ogre! Bianca finds Bruno to apologize and help him find a way to play in his own way. They fly back to the Wishball field, where Bruno is able to show off his new skills. Bianca and her class are voting to either decorate their classroom to look like either Egypt or China! But Bianca doesn't know anything about Egypt or China. How is she supposed to decide? 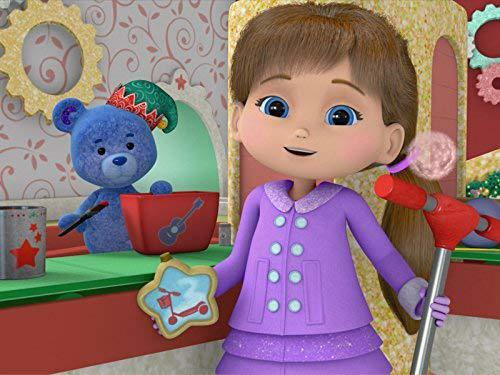 With the guidance of Miss Bridget and Bob the Bear, Bianca learns that in order to make the right choice, she has to learn about both places. 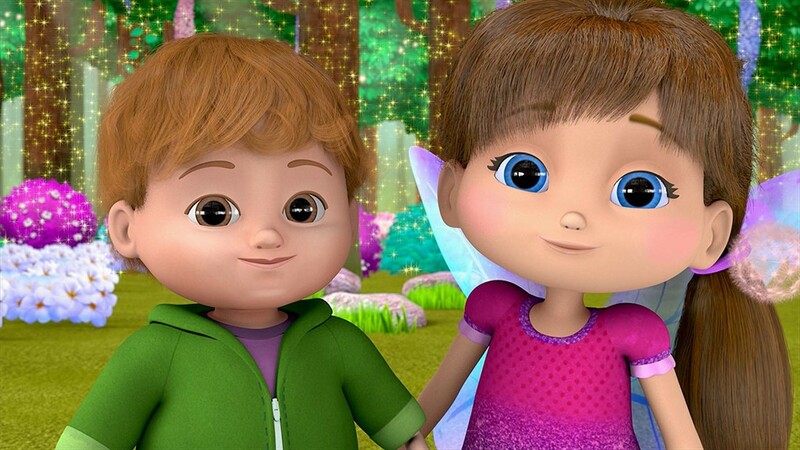 Bianca and Bob go on a Wish Magic adventure through both countries, learning about each place to help Bianca make her final decision. 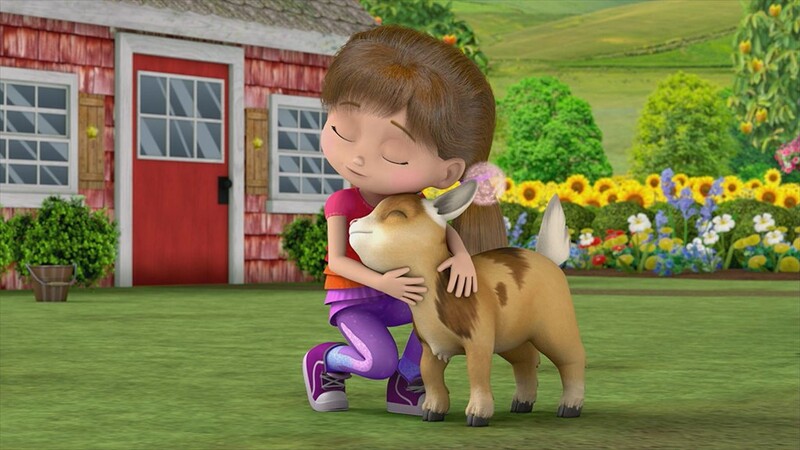 As Bianca and Bob encounter historic landmarks, action-packed activities, and amazing animals, Bianca is able to experience the importance of learning before you make a decision. She also learns about the rich cultures and specialties of the two countries. But which will she choose? Both Grandmas are coming over so Bianca and her family are making them a delicious dinner! 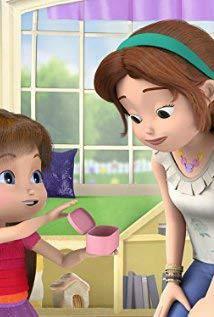 Mom needs Bianca's help preparing for the meal, but a misunderstanding between the two of them causes an argument, leaving both Mom and Bianca very frustrated. Suddenly, Snap! they're at the beach! Mom tells Bianca that whenever she's angry, she goes to her "happy place", which for her, is the beach. Mom says that this strategy always helps her to calm down when she's angry. 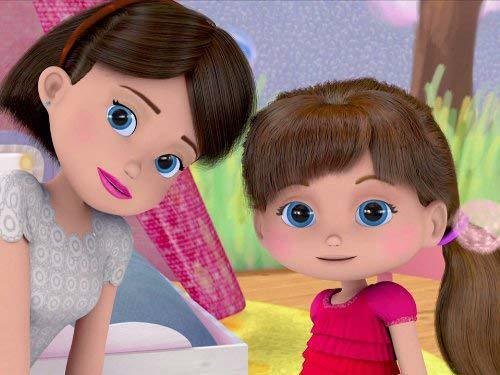 Mom and Bianca can discuss their issues calmly, and learn about what was frustrating for the other person. Bianca and Mom make up, and head back home to help prepare the meal. Bianca implements her new strategy during a disagreement with Ben however and they can continue help prepare the dinner, with some fun new playful techniques added in. Who says you can't play while you work? The food is finally ready, and the Grandma's arrive to a playful and delicious-smelling house, ready for a great meal. Pass those sweet potato biscuits!